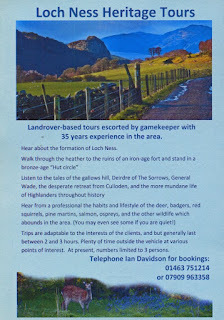 There are now organised tours of South Loch Ness. See The Dores Community Web Site for details. In the 6 years we've had Pottery House we've had many honeymooners stay with us, had 2 couples get engaged whilst staying and even had 1 lady arrive in her wedding dress. But this week was the 1st time that people got married whilst staying. 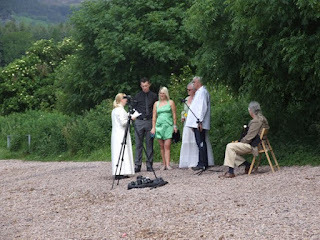 Linda & Terry (lady with the flowers and gentleman in the white shirt) got married on Dores beach on Wednesday morning.